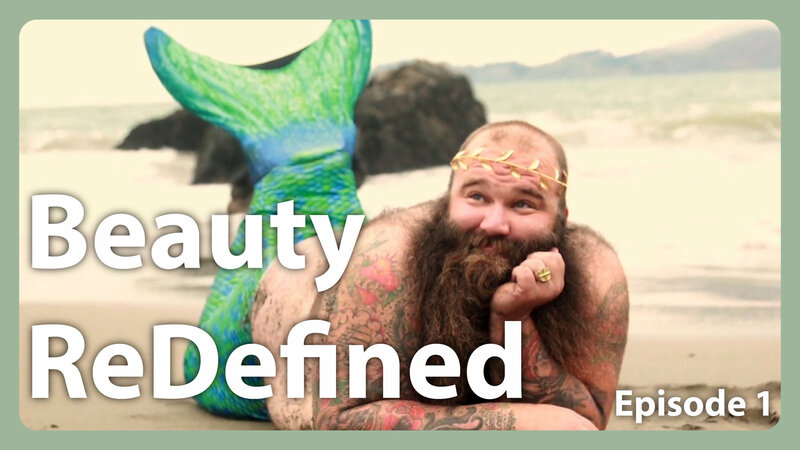 Meet Josh, the Bail Bondsman turned Calendar Model who promotes confidence and self-acceptance. The Rescue and Adoption Initiative that has saved 4000+ Dogs! Rising Pop Star and cancer survivor Caly Bevier is using her voice change the world! Bailey Vincent is dancing through life while fighting for her life. Have you ever wondered what your favorite TV show looks like when it's being filmed? Well, you can stop guessing and watch Adam & Jared take us on a tour of the Workpoint TV Studio in Stamford CT when HooplaHa shot the pilot for HooplaHa-Only Good News! While Tracy and Scott are the co-founders and best known members of Tracy'sDogs, there is actually a large group of volunteers from coast to coast that help them manage and respond to the nearly 300 adoption applications that they receive every month. Most have come to the Darien Illinois "Gotcha Day" for their annual get together to celebrate each other and the work they love – managing the trials and tribulations of helping rescue dogs find new homes. 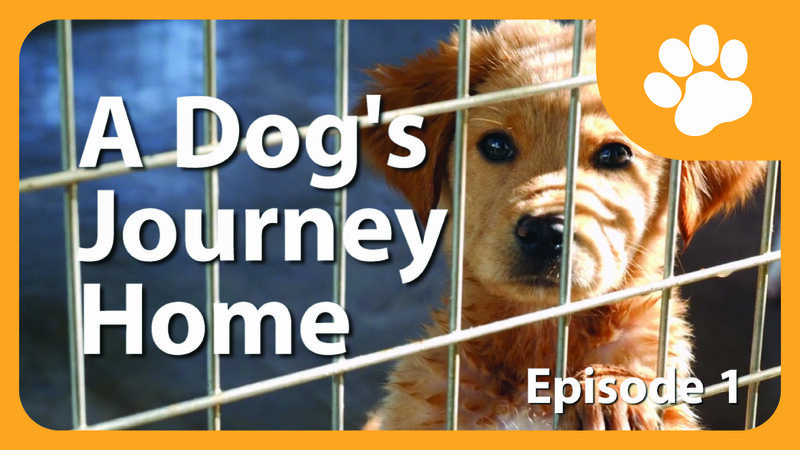 In this episode of A Dog's Journey Home, you will meet many of the individuals on the Tracy'sDogs team, and hear how they handle all of the details of the adoption process and the emotional roller coaster of a "Gotcha Day". This is also the opportunity for Scott and Tracy to say thank you to all the staffers for the incredible work they do all year. Scott is extremely proud of the dedicated team he and Tracy have built. "The best part of Tracy'sDogs is that it gives so many of the players that are a part of what we do an opportunity to do what they are passionate about", he explains. "It's really what drives me every day." A perfect example is their Communication Director, Amber Hodgson, who does much of the behind the scenes work of reviewing applications and following up with potential adopters. "Gotcha Day is my favorite day of the month!" she says with a smile. "This is really the day we get to see all of our hard work in action." After all the dogs have met their new families and are on their way to their new homes, the team joins together for dinner. Gather round to share in the stories, achievements, and hear Tracy's heartfelt words of thanks. 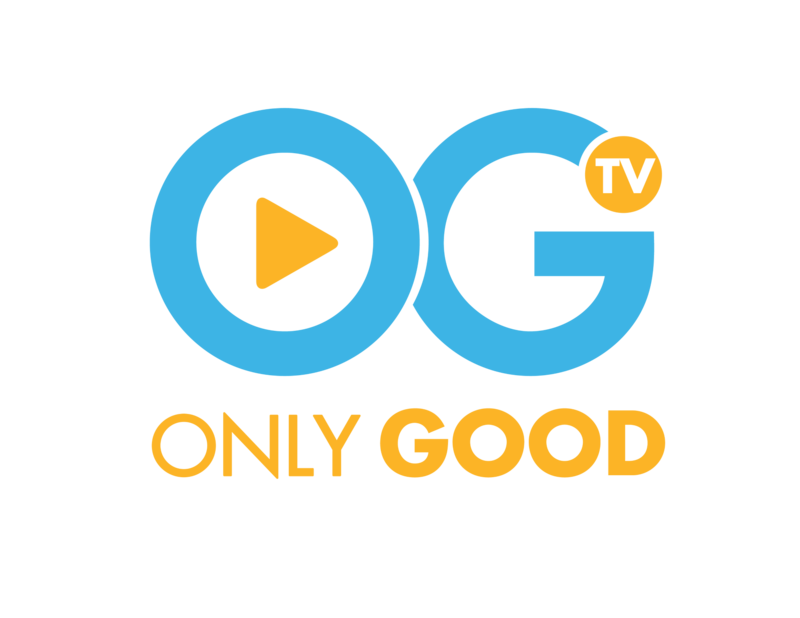 Welcome to OnlyGood.tv! (Formerly HooplaHa - Only Good News) - It's a Positivity Movement. We at OnlyGood TV believe that positivity will change lives for the better. We strive to be the hopeful voice that recognizes people are good & out there doing good things for their communities and society at large. We tell the stories of the individuals and organizations that inspire and motivate us, and fuel the Positivity Movement. Can you imagine what it would be like to tag along when a smiley toddler walks around a senior center giving out flowers? 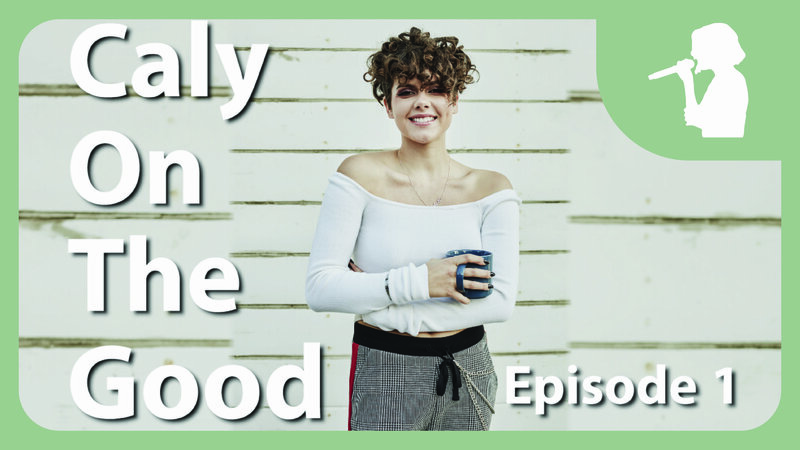 In this episode of Growing Up Good, we follow Award-winning journalist Deanne Goodman and her daughter Jade as they try to spread a little kindness in their own very special way at the Merrill Gardens Senior Center in Oceanside, California. Jade has a ball walking up to seniors sitting alone or in groups and turns an ordinary day into an extraordinary one. Toting her delicate, aromatic gifts in a little red wagon, she smiles and carefully hands out long stemmed, "thorn-less" roses to everyone she meets. As you might guess, there is laughter, happy smiles, and a whole lotta hugs! Community Relations Directory Mathew Murphy knows how important visitors, especially ones as adorable as Jade, are to the people in his care. "Our residents are often separated from family and loved ones, so to have folks coming in that care to provide extra special attention is very valuable to them." Closely accompanying Jade as she makes her rounds, Deanne chats with the residents, explaining how she's teaching her daughter the importance of kindness and helping out the community. Deanne has been creating content that inspires people to do good for most of her career and she is now bringing that positive mindset to her role as a new parent, raising a young girl in what can often be a harsh world. Join the tour on Jade's "kindness" wagon for a happy visit with some very appreciative seniors. Smiles are welcome! Today on April 22nd marks the 49th anniversary of Earth Day! Each year, the Earth Day Network promotes positive ideas in an attempt to change our planet for the better. Beginning in 1970, Earth Day's purpose gave light to the emerging decision to take action and protect the planet we call home. 20 millions Americans took action, protesting against the negative impacts to nature due to the Industrial Revolution. Since the first celebration of Earth Day, the cause and movement has grown to become a necessary step in environmental change. Red Bull Magazine Honorees Explain: What Makes A Hero? STORIES BEYOND THE ORDINARY celebrates the amazing heroes featured in The Red Bulletin's (RED BULL) inaugural Heroes of the Year issue. At this exclusive event hosted by Journalist Bonnie Bernstein, we find out what inspires, challenges and makes these inaugural honorees truly extraordinary. Mario Bonfante Jr. – "Invest in yourself and continue to chase your passion"
Injured in a biking accident at the age of 17 and now a quadriplegic, Bonfante refused to let his limitations stop his dreams in their tracks. He took fate into his own hands and designed custom hand-controlled driving technology out of his bedroom, allowing him to pursue his passion for racing at speeds over 130 mph. Lisa Wang – "Impacting the world through collaboration"
A former rhythmic gymnastics champion, Lisa grew up in an environment where her peers were often her competition. Today, as the Founder and CEO of SheWorx, she's learned that collaboration is another path to victory and has since inspired more than 20,000 female entrepreneurs to build and scale successful companies. Richard 'Crazy Legs' Colón – "Taking charge when called on"
Once an aspiring Puerto Rican B-Boy from the Bronx, Richard escaped his own poverty and family abuse to become one of the most well-known B-Boys in the world. Having performed for the Queen of England and in nearly every European capital city, Colón was living out his dreams. However, when he saw the devastation Hurricane Maria caused in Puerto Rico, he was compelled to take action and immediately caught a flight to support the island's recovery efforts first-hand. Doris Muñoz – "Self Sacrifice for the benefit of others"
A 24-year-old recent graduate from California State University, Fullerton, Doris is already a successful music manager and entrepreneur. Born to undocumented parents from Mexico, Muñoz has grown up with the fear of losing her family to ICE. Now representing up-and-coming Mexican American artist Cuco and other acts, Doris organizes events and benefit concerts to fund immigration activism, raising money for undocumented families across the country. Dave Mackey – "Not accepting physical limits to the body and mind"
A decorated ultra-runner, Dave crushed his leg in a grisly mountain accident while running in Colorado's iconic Bear Peak. He underwent 13 surgeries to save his leg, but when the final outcome allowed him to walk but unable to run, Dave made the harrowing decision to amputate his leg so he could return to the sport he loves. Considered by many to be the greatest skier in United States history. Although highly recognized and celebrated, Vonn has experienced a series of complicated injuries throughout her career. Refusing to give up amid a series of physical setbacks, Lindsey will compete in this winter's World Cup and if she achieves five wins, she will become the winningest skier, male or female, in history. It's finally here! Show Day! Bailey and Company 360 have been rehearsing for this moment for months and the pressure is on. Bailey is still weak and has another upcoming surgery, and worries whether she is capable of preparing her company and crew for the show and then giving the audience an effort that is up to her own personal standards. In this episode of Bailey Breathing Ballerina, Bailey faces a critical moment in her recovery. "Tonight's performance is really important to me," Bailey shares. "I think, though I don't admit it, approaching every show there is a very huge part of myself that doubts that I will physically get there." Eat, Drink, and Adopt at Fido's - the World's First Dog Tap House! When Fido's Rescue Founder Scott Porter was still in the discovery phase of starting a new business, he visited a Cat Café. "I didn't think the business was set up well," he remembered. "The patrons were complaining that the cats didn't want to play with them, and I'm thinking, that's because their cats!" When he told this story at home, his son had an immediate inspiration - "if they only had dogs, that wouldn't be a problem." This was the spark that led Scott to develop the idea of creating an environment where adoptable rescue dogs could have a way to comfortably meet and play with the patrons in the friendly confines of a neighborhood Tap Room. When he reached out to discuss his vision with several local charities, they were unanimously enthusiastic about the idea. One of those charities, OFOSA (Oregon Friends of Shelter Animals), has since become a partner and provides Fido's with rescued dogs from all over California. Fido's is the first craft beer tap room with adoptable rescue dogs roaming the establishment as patrons! They have 40 taps of craft beer, cider and wine, along with food not often seen in a small beer bar. They celebrate craft beer and "Man's Best Friend" in a place where patrons can bring their own dogs… or visit with rescue dogs in a special "Fido room". Since opening in Tigard, Oregon, on the outskirts of Portland, Fido's Rescue has already helped over 50 pups get adopted to families and friends. They are a mom and pop business, run by Scott Porter and his wife Vee, and the couple gets great pleasure from the people that visit and their rescue work. "The joy you get every day from going home to meet your dog," Scott explains, "is what we get every single day from the 3 or 4 rescue dogs here with us." Watch how they do it, and if you're ever in the neighborhood, join them at Fido's to Eat. Drink. Adopt! Dara Pollak still moves gracefully, like the dancer she was before her left leg was shattered when she was hit by a car. Then 17, bedridden in the hospital, she was told she would never walk, much less dance again. Dreams crushed, future uncertain…what would she do now? Dara spent over a month in the hospital, laid up in a bed, watching hours of endless television, depressed and heartbroken. The accident effectively ruined any chance she had of becoming a dancer but Dara soon discovered a new passion – The Food Network. She loved watching the cooking shows and learning recipes. It relaxed her and gave her a sense of peace. Ultimately, Dara turned this tragic accident into a completely new career – she started The Skinny Pig, her own food blog where she shares recipes, cooking tips and restaurant reviews. Dara followed up the blog, one of the first in the food space, with the launch of an Instagram account, @SkinnyPigNYC, which has grown to over 90,000 fans who follow her on travels to eateries large and small, near and far, and from dawn until…well… dawn. Her tastes range from her own Super Bowl party recipe faves (wings, dips, and chili) to reviews of meals at restaurants from Brooklyn to Bali. Childhood friend, Andrew Zarian, is excited about what Dara has achieved in this extremely competitive area of social media. "It's amazing to see someone grow it organically, on their own, with minimal help. It shows you what great content, great writing, and a great personality can do." Overcoming many hurdles to change her life so dramatically has allowed Dara to step back and appreciate where she is. "I feel like it gives me a new look on life now," she explains. "I feel like people need to be a little more grateful for being here every day." Wondering where the name "Skinny Pig" came from? Discover her little secret and lots more about Dara in this inspiring story. You may be familiar with the nursery rhyme about a man named Macdonald who had a farm. As children, we spend so much time celebrating farm animals but our awareness of them tends to fade as we get older. Luckily, in 2005, Animal Rescuer and Celebrity Pet Lifestyle Expert Colleen Paige decided that she would create a Holiday in their honor. National Farm Animal Day raises awareness about the plight of slaughter animals, as well as find homes for those that have been abandoned or abused. We have decided to take part in this celebration and are sharing a few of our most inspiring farm stories on this special day! Ryan's Recycling: 9-Year-Old Entrepreneur Goes Green and then Goes Global! This Bail Bondsman Turned Model Is Changing The Meaning Of Beauty! Meet Ziggy, He Travels The Country In A RV!